Residential basements require foundation walls that are watertight and waterproofed. The Mar-flex Control-Joint Extrusion System provides an economical, easy to use a system for eliminating “random shrinkage cracks” which are generally unavoidable, uncontrollable, unsightly and will leak water if not planned for ahead of time. 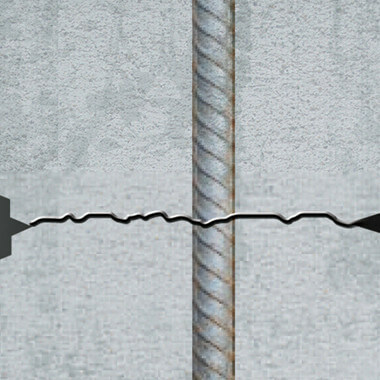 The Mar-flex Control Joint Extrusion System is designed to eliminate random shrinkage cracks by creating vertical control-joints on both sides of a structure’s foundation walls. A watertight outside control-joint is created to ensure further protection. This joint is filled with Mar-flex Waterstop Elastomeric Sealant and protected by Mar-flex Fiberglass Fabric Reinforcement. 1.250″ Height for 10″ and 12″ wall thickness. 2″ mounting flange.